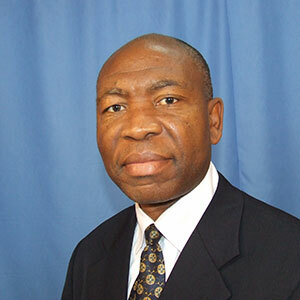 Dr. Nguendo Yongsi earned his BEd at Laurentian University (Sudbury–Canada) and his PhD in Geography at Paris-X (France). He has a longstanding interest in urban health and has empirically focused on the spatial disparities of diseases and access to health care in Cameroon. His work involves an integrative understanding of the broad determinants of population health and research on environment and health linkages within urban settings. He has served as a Research Professional at the Centre de Recherche Interuniversitaire de Gériatrie de Montréal and as Professor of Epidemiology and Health Geography at the University of Chicoutimi (Quebec–Canada). He is currently Associate Professor of Health Geography and Spatial Epidemiology at the Institute of Training and Research in Population Studies (IFORD) of the University of Yaoundé II (Cameroon). His current works are about chronic non communicable diseases and health of vulnerable populations. Since 2003, Eminence has been committed to improving the lives disadvantaged and marginalized populations through research, training, advocacy, community based interventions and communications in the areas of health, education, environment, governance and information technology. Dr. Talukder is the first Member Secretary of Bangladesh Urban Health Network (BUHN)and has also co-authored a chapter of the first Bangladesh Urban Health Survey 2006 and the Bangladesh Demographic and Health Survey (2011) that later was transformed into a National Policy Brief on Non Communicable Disease. He was co-author of a working paper of Measure DHS, an analysis from Bangladesh Demographic and Health Survey (BDHS), 2011 on different variables of reproductive and fertility issues of women of reproductive age. Dr. Talukder also serves as the member secretary of the Non Communicable Diseases Forum (NCD-F), coordinator of Bangladesh Civil Society Network for Promoting Nutrition (BCSNPN), and founder and general secretary of the Global Citizen Forum for Sustainable Development. He has worked nationally and internationally to develop health policy with special focus on non-communicable diseases and nutrition. He is also actively involved in environment, climate change and health related civil society platforms at national and international levels such as the Climate Action Network (CAN) and Population and Sustainable Development Alliance (PSDA). Dr. Banerjee is a Medical Anthropologist by training and holds a PhD in Population Genetics and was a research fellow with the National Institute of Health and Family Welfare in New Delhi, India. Dr. Sainath has over two decades of experience in the field of development in public health, particularly in program designing, management and scale up. For the last fourteen years, he has been engaged in designing and implementation of evidence based urban health programs such as Environmental Health Project (EHP), Extended Urban Health Program, and Community Based Urban Health Program in collaboration of John Hopkins University, Urban Health Initiative (UHI), and Health of the Urban Poor (HUP) supported by USAID and Gates Foundation. Currently, Dr. Sainath is engaged with IPE-Global as Deputy Project Director of an urban health program, supported by USAID. Professor Birch is the Lawrence C. Nussdorf Chair of Urban Research and Education. 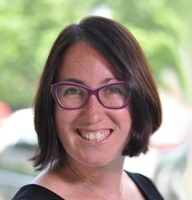 She teaches courses in planning history, global urbanization and serves as chair, Graduate Group in City and Regional Planning, co-director, Penn Institute for Urban Research, co-editor, City in the 21st Century Series, University of Penn Press and co-editor, SSRN Urban Research e-journal. Professor Birch is the Chair of the United Nations Human Settlements Programme’s World Urban Campaign, a global coalition of public, private and civil society partners acting to promote sustainable urbanization. She is active in the field’s professional organizations and in academia in the United States and abroad. She is a member of the U.S. National Committee for Habitat, the Sustainable Development Solutions Network (SDSN) Thematic Group on Resilient Cities, and an Associate Editor, Journal of the American Planning Association. In the past, she has been President, Association of Collegiate Schools of Planning; President, Society of American City and Regional Planning History; President, International Planning History Society; and co-editor,Journal of the American Planning Association. She has been a member of the Planning Accreditation Board, having served as its chair from 2004-2006. She has been a member of the editorial boards of Planning Theory and Practice, Journal of Planning History, Journal of Planning Education and Research and Planning Perspectives. 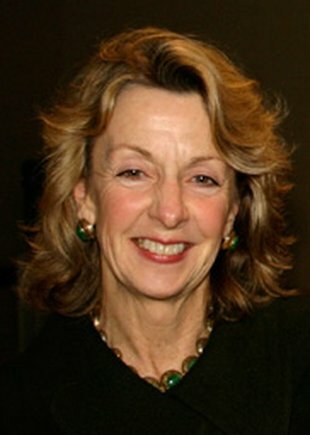 In 2000, she was elected to the College of Fellows of the American Institute of Certified Planners and made a member (honorary) of the Royal Town Planning Institute. Jason Corburn, PhD is a professor at the University of California, Berkeley, jointly appointed in the Department of City and Regional Planning and the School of Public Health. Dr. Corburn directs Berkeley’s Institute of Urban and Regional Development, the joint Master of City Planning (MCP) and Master of Public Health (MPH) degree program and leads the Center for Global Healthy Cities. His research focuses on the links between environmental health and the social justice in cities, notions of expertise in science-based policy making and the role of local knowledge in addressing environmental and public health problems. Dr. Corburn is currently working on developing a strategy for integrating health equity into all decision making in city governance, drafting and implementing integrated upgrading plans for informal settlements and researching metrics and indicators for urban health equity. 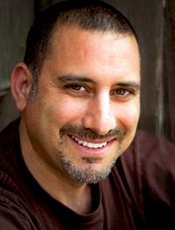 Furthermore, Jason has received numerous awards for his work, including the United Nations Association Global Citizenship Award, the 2016 UC Berkeley Chancellor's Award for Public Service in Teaching, the Paul Davidoff Book Award for Street Science, and a Health Policy Investigator Award from the Robert Wood Johnson Foundation. His CV is available here. Rajae El Aouad, MD, MSc, MHPM, is a resident member of the Hassan II Academy of Sciences and Technology of Morocco (HIIAST) and a Member of the Steering Committee of the Royal Institute for Strategic Studies (IRES). Rajae holds a Doctorate of Medical Studies, a Master of Science and a Master of Health Policy and Management. Dr. Aouad has dedicated her career to developing and reinforcing public health capacities to better tackle communicable, non-communicable and emerging diseases. 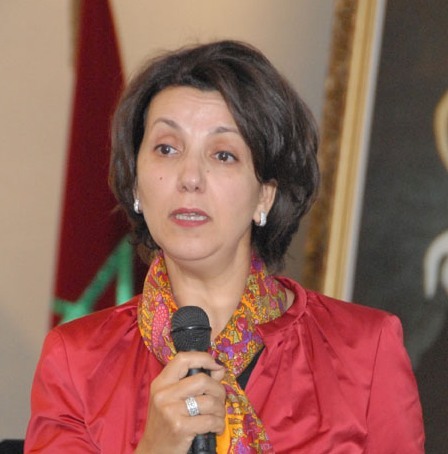 Over the course of her career, she has served as the Chief of the Immunology and Virology Department at the NIH (1987-2001), Director of the National Institute of Hygiene (2001-2012), and Vice-President for Research and Cooperation and director of the Public Health School at the University Mohammed V Llth for Health Sciences in Casablanca, Morocco. Jean Christophe Fotso is the Founder and Executive Manager of EVIHDAF (Evidence for Sustainable Human Development Systems in Africa), an international research and development organization headquartered in Yaounde, Cameroon, which serves the West and Central Africa region. He is a research and evaluation professional with more than 20 years’ experience in designing and applying state-of-the-art approaches to program monitoring and evaluation and dissemination. His subject areas include family planning and reproductive health; maternal, newborn and child health; nutrition and food security, human resources for health; and use of mobile technologies to reduce barriers to health care. Until December 2016, he served as Director, Monitoring and Evaluation at Concern Worldwide USA, where he led an eight-year, flagship program, the Innovations for Maternal, Newborn and Child Health, comprised of nine projects in five countries (Ghana, Kenya, Malawi, India, Sierra Leonne), and two cross-project agenda on human-centered design, and alignment with human rights principles. 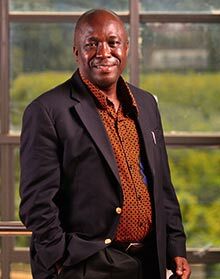 Prior to joining Concern Worldwide in early 2013, he was the Head of the Population and Reproductive Health research program at the African Population and Health Research Center (APHRC) in Nairobi, Kenya, leading and managing projects in many African countries including Kenya, Ethiopia, Congo DR, Ghana, Nigeria and Senegal. Dr. Fotso is Adjunct Assistant Professor at the Gillings School of Global Public Health, University of North Carolina in Chapel Hill, USA. He is also a Faculty Affiliate at the Maryland Population Research Center (MPRC), University of Maryland, USA. He holds a PhD in Demography from the University of Montreal, Canada; an MSc in Statistics from University of Paris VI, France; and an MSc in applied Mathematics from the University of Yaoundé, Cameroon. Dr. Lovasi is the Urban Health Collaborative Co-Director and Dornsife Associate Professor of Urban Health at Drexel University. Her research projects reflect a tension between loving to work with large datasets to chip away at big questions, and a fascination with the insights gained through field data collection to tackle local information needs. In both contexts, the puzzles and surprises that emerge, either during the investigation or during subsequent dissemination, continue to provide a rich source of new research questions. Her current NIA-funded project is a longitudinal investigation of local retail (58 million businesses over a 25 year period) and their implications for cardiovascular disparities and aging across the US. She is also using street-level observations to understand variation within large informal communities in Rio de Janeiro and Buenos Aires. 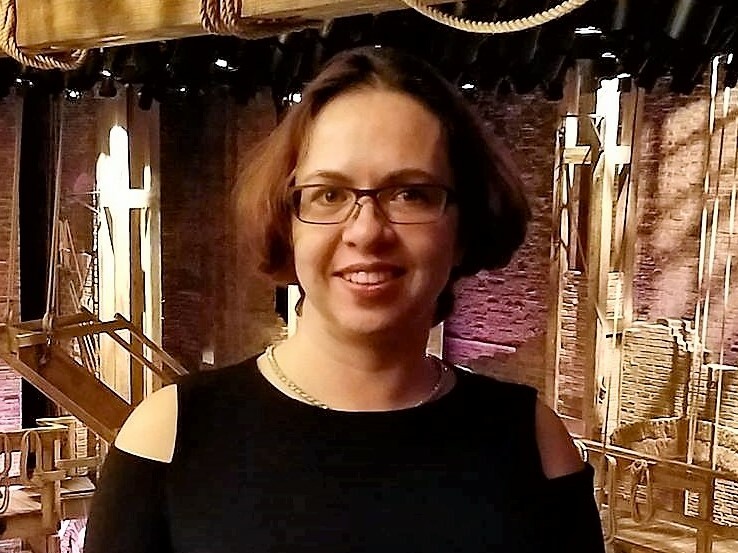 Dr. Lovasi teaches and mentors graduate students on using data to answer urban health questions, and serves as chair of the curriculum committee within the department of Epidemiology and Biostatistics at Drexel University’s Dornsife School of Public Health. She serves on committees of the American Heart Association Epidemiology Council and on the board of the International Society of Urban Health, is on the editorial board of the Journal of Urban Health and the American Journal of Preventive Medicine, and is an associate editor for the American Journal of Epidemiology. Previous affiliations include University of California Los Angeles (undergraduate training), University of Washington (graduate training in epidemiology), and Columbia University (interdisciplinary postdoctoral training, assistant professorship in epidemiology). Dr. Mberu is a research scientist who works on migration, urbanization, adolescent reproductive behavior and poverty in sub-Saharan Africa under the Urbanization and Wellbeing Program at the African Population and Health Research Center (APHRC). Dr. Mberu received his M.A. and PhD in sociology from Brown University and his MSc from the University of Ibadan in Nigeria. He joined APHRC in 2008 as a Post-Doctoral Fellow, after spending time there as a research intern and travel scholar from 2004-2005. Dr. Mberu’s passion revolves around conducting research to inform development policy in Africa and beyond and has published university texts in sociology and several articles in academic journals spanning his areas of interest. Pr. Gérard Salem is 63 years old. After completing a B.A. and M.A. degree in geography (University of Paris 1 – Sorbonne), he went on to receive a Ph.D. in African Studies at the Ecole des Hautes Etudes en Sciences Sociales (E.H.E.S.S.) in Paris. Additionally, he completed a master in urbanism at the Institut d’Etudes Politiques de Paris, and another master in epidemiology from the Pasteur Institute in Paris. As a researcher with ORSTOM, he worked from 1980-1988 and from 2009-2012 in Senegal; has been Full Professor of Geography of Health at the University of Paris-Nanterre (1997-2013). He is currently Professor emeritus, member of the Scientific Committees of International Council for Science ICSU (Urban Health and Wellbeing program), International Society of Urban Health, and International Geographical Union. Dr. Lucia Sarmiento is an Associate Professor of Public Health at the Faculty of Medicine of the Universidad de los Andes. She received her MD from the Javeriana University in Bogota, Colombia and her MPH and PhD in epidemiology from the School of Public Health at the University of North Carolina, Chapel Hill. Her main focus is on the epidemiology of chronic, noncommunicable diseases and physical activity and the built environment in both children and adults in Latin America. 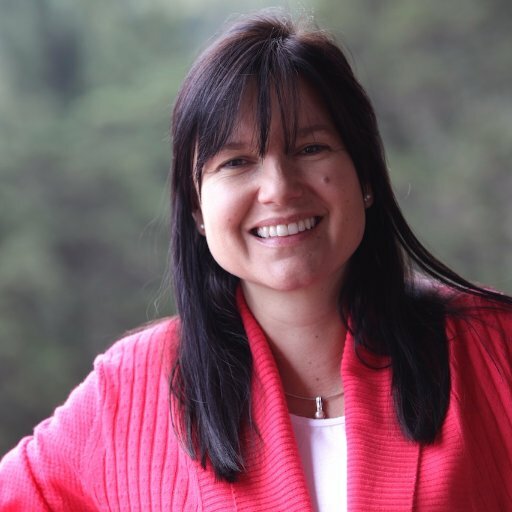 In the past 10 years, Dr. Sarmiento has received an award at the 4th International Congress on Physical Activity and Public Health in Sydney, Australia, for her work on familial determinants of sedentary behavior in children between 5 and 18 years from Colombia as well as an honorary distinction from Coldeportes National for her academic work towards promoting healthy behaviors in Columbia and an award for best research at the AMNET Congress for her work regarding the importance of indicators of the physical environment in the surveillance of chronic disease. Dr. Yonette F. Thomas is Executive Director of the International Society for Urban Health, science advisor for urban health to the New York Academy of Medicine, and a senior research advisor to the Association of American Geographers. She is a faculty affiliate of the Maryland Population Research Center at the University of Maryland College Park, and a voluntary associate professor in the Department of Public Health Sciences at the University of Miami Miller School of Medicine where she teaches social epidemiology. She was formerly the associate vice president for research compliance at Howard University. Previously she served as the chief of the Epidemiology Research Branch and program director for the social epidemiology program at the National Institute on Drug Abuse, National Institutes of Health. She has held faculty appointments in the Department of Psychiatry and Behavioral Sciences and in the School of Pharmacy at Howard University. She is a member of the Consortium of Social Science Associations Advisory Committee and the Steering Committee of the National Hispanic Science Network. She served on the National Academy of Sciences Committee on Revisions to the Common Rule for the Protection of Human Subjects in Research in the Behavioral and Social Sciences. Her primary research and publications have focused on the social epidemiology of drug abuse and HIV/AIDS and the link with geography, including edited volumes: Geography and Drug Addiction, Crime, HIV, and Health: intersections of Criminal Justice and Public Health Concerns. She has a Ph.D. in medical sociology and demography, with post graduate training in epidemiology. Dr. Thompson is Professor of Planning and Head of the City Wellbeing Program, City Futures Research Centre, at the University of New South Wales, Sydney, Australia. Susan’s academic career encompasses research and teaching in areas ranging from cultural diversity in urban planning, to migrant women’s meanings of home, and the use of qualitative research in built environment disciplines. Since 2004 Susan has focussed on the interdisciplinary area of healthy urban planning in her research, education and advocacy work. Susan’s longstanding contribution to urban planning was recognised in 2012 when she was elected Fellow of the Planning Institute of Australia and in 2015, with the awarding of the prestigious Sidney Luker Memorial Medal. Dr. Vlahov was the founding President of the International Society for Urban Health (www.isuh.org). Dr. Vlahov is the editor-in-chief of the Journal of Urban Health, has edited three books on urban health. He is the Dean and Professor at the University of California, San Francisco. Prior to this, Dr. Vlahov led epidemiologic studies in Baltimore, Harlem and the Bronx, which have served as a platform for subsequent individual- and community-level intervention studies and community based participatory research to address social determinants of health. This work has contributed new knowledge to promote health equity. He has been a Visiting Professor at the Medical School in Belo Horizonte, Brazil to develop their programs in urban health, and served an expert consultant to the WHO’s Urban Health Center in Kobe, Japan. He served on the New York City Board of Health. He has published over 645 scholarly papers. In 2011 Dr. Vlahov was both elected to the Institute of Medicine currently serving of the Institute’s Board of Global Health. He is a Fellow of the American Academy of Nursing and The New York Academy of Medicine. Tony is a public health physician and authority on environmental health and health promotion. His research focuses on urbanisation, sustainable development and human health. A former director of the global health institute at United Nations University (UNU-IIGH), he has held professorial appointments at Australian National University and University of Canberra. During 1991-2006, Tony was the inaugural director of public health and medical officer of health in western Sydney. Since 2008, he has been advising the International Council for Science on the development of their global interdisciplinary program on health and wellbeing in the changing urban environment using systems approaches. Tony has won NHMRC and WHO fellowships, and research funding from NHMRC, ARC, CSIRO, Rockefeller Foundation and British Council. He is a member of the Rockefeller Foundation–Lancet Commission on Planetary Health that published its report Safeguarding human health in the Anthropocene epoch in 2015, the advisory committee for the Planetary Health Alliance and the Editorial Advisory Board for The Lancet Planetary Health. Arpana Verma is Head of the Division of Population Health, Health Services Research and Primary Care at The University of Manchester (UK). She is Director of the Manchester Urban Collaboration on Health (MUCH), a World Health Organisation Collaborating Centre for Heath Indicators. She is the Principal Investigator (on behalf of the late Professor Aidan Halligan) for the evaluation of Well North, a unique programme across the North of England for testing and piloting a set of linked interventions to improve the health of the poorest in some of the most deprived areas. Dr. Verma was the principle investigator of the European Urban Health Indicator System project (EURO-URHIS 2) funded by DG Research under the FP7 programme. Currently, Dr. Verma leads on a number of health service research projects, primarily in hepatitis C and blood borne virus prevention, infection control, immunisation including MMR and HPV vaccine. Many involve data linkage of health indicators, risk factors and the wider determinants of health to help understand the urban challenges to health both within the UK and globally. Her most recent EU grant, Urban Health Centers Europe 2.0, investigates healthy ageing in cities with a focus on prevention of falls, management of polypharmacy, frailty and social isolation. She is President of the European Public Health Association section on Urban Health and Honorary Consultant in Public Health at Public Health England.